Great Bungalow! 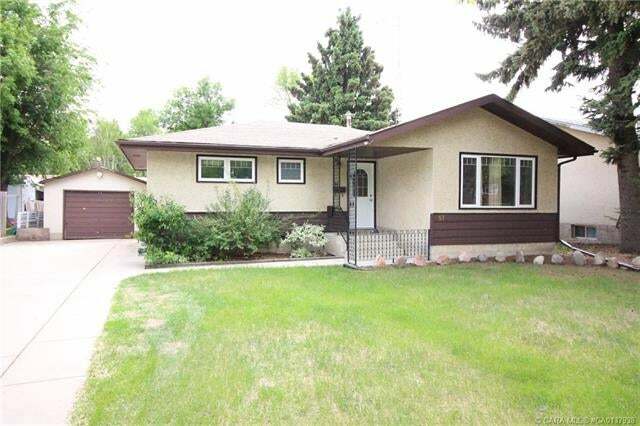 Close to Schools and Recreation Centre! Great Family, Starter or Retirement Property! You will Love the Location of this 1,071sq.ft. 3+2 Bedroom Bungalow and the Oversized Yard with RV Parking Options! Featuring country style kitchen, bright dinette with built-in china cabinet, spacious living room and 3 main floor bedrooms. Developed basement with large family room, 2 spacious bedrooms, bathroom and laundry area. Great yard, fenced, courtyard and garden shed. 14’x22’ single garage, RV parking, alley access and more! Lots of potential! Excellent Location!